Rock Barn Golf & Spa between Statesville and Hickory, North Carolina is a unique oasis for golfers, nature lovers, and spa enthusiasts. 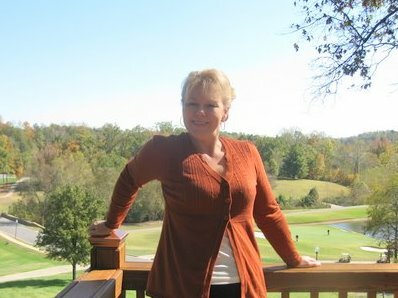 This gorgeous full service country club oasis is tucked in the foothills of the Smoky Mountains with nearby covered bridges and spectacular scenery, making it a perfect golf, spa, and horseback riding getaway. The spa with its 20,000 square feet of sheer bliss is a beautifully designed world class European day spa complete with a mineral pool, steam rooms, saunas, and lounges. Facials and massages, manicures, pedicures, body treatments, and a full service salon and spa boutique ensure that all the bases are covered for any couple needing a little pampering. Committed to allowing a heavenly and rejuvenating experience for guests of the Spa at Rock Barn, a full range of treatments are offered to accommodate for as little or as much time as one’s schedule allows. Even a Spa Day Pass if available to allow guests to lounge by the mineral pool with underwater music, take a dip in the whirlpool, or indulge in the massaging waterfall, sauna or steam room. The Spa at Rock Barn even offers lovely Gentlemen’s Treatments for the masculine half of your couple. Two signature golf courses offer spectacular views and a chance to be challenged. 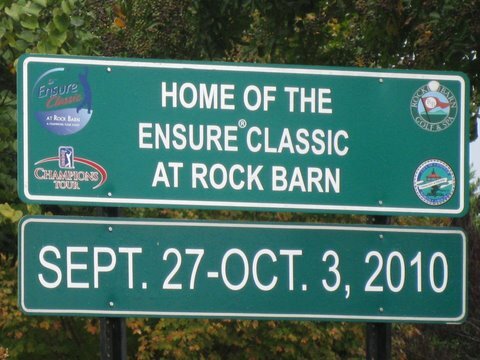 Home of the Ensure Classic and PGA Champion Tour Event held each year, one Robert Trent Jones Jr. course ranked 15th best golf course in the state and the other course is a newly renovated Tom Jackson course awarded by Golf Digest 4.5 stars out of 5 possible. An 80 acre equestrian center only adds to the splendor. A tennis and swimming complex and fitness center make this a resort with something for everyone. Whether you’re in the mood for casual dining at Sue’s Grill for an delicious salad or appetizer, or fine dining at Alexander’s, you won’t be disappointed. Alexander’s a dining favorite amongst the locals and for good reason. Every delicious entree is prepared and presented impeccably and the ambiance is sheer class and comfort. Executive Chef Josh Wagoner creates wonderful nightly specials that compliment signature items like Chicken Saltimbocca, Surf and Turf, and Proscuitto Wrapper Grouper. A lovely Clubhouse Brunch is also served on weekends. At the other end of the spectrum even on the course’s edge, Lyle Creek Grill is famous for their build-your-own-burgers with both golfer and non-golfers. The Spa Cafe offers even more healthy choices with a bountiful buffet of signature items guests can enjoy while relaxing in their robe and slippers throughout their spa stay. 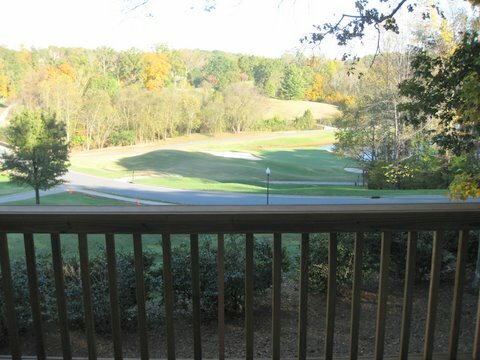 We stayed at “The Lodge at Rock Barn,” our own private golf course home with beautiful views of the course. This choice provided all the amenities with numerous spacious bedrooms and baths, a full kitchen and lots of room to unwind and enjoy. 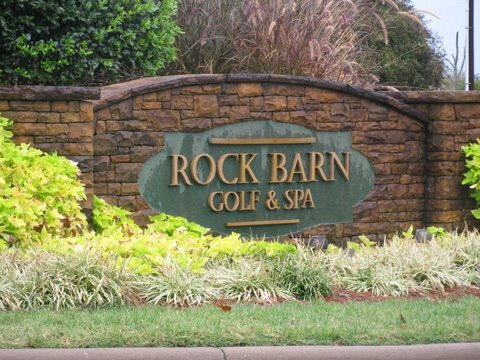 Rock Barn Stay and Play packages offer luxury town homes with guest access to all the award winning amenities such as the Rock Barn Golf Academy and a private limousine service to name a few. Beautiful Hickory, North Carolina with its gorgeous furniture and shopping and nearby Statesville with its famous Balloonfest, are within a short drive of Rock Barn. Sheer luxury, relaxation, and excellent service are always on the menu at Rock Barn where time stands still and beauty abounds for those lucky enough to know of this hidden Carolina gem.